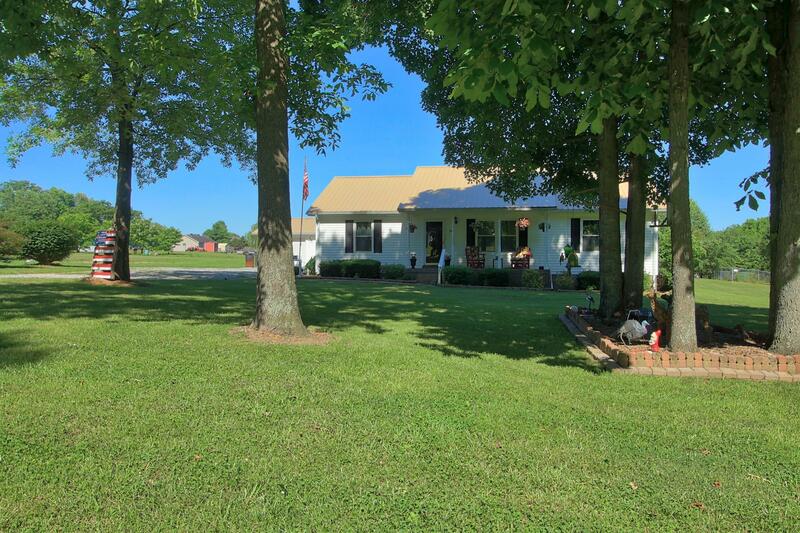 Very nice and well maintained home in a quiet country setting. Flooring has been updated.Open floor plan with a split bedroom floor plan. Bedrooms all have spacious closets. Separate utility room with pantry space. Detached garage with equipment shed attached to back and additional metal carport, Pool area totally enclosed.